Welcome to Cecilia Hall Dance Centre. We have been established for 35 years. 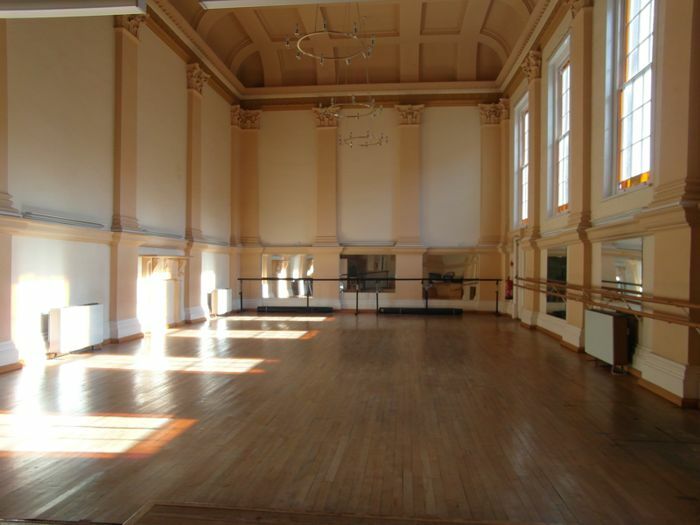 Our classes are held at Cecilia Hall, 20-22 Church Street, Great Malvern, WR14 2AY. You are welcome to pop in and see us! A bit of history: Probably circa. 1860. Concert Hall with interior decorated with an order of Corinthian pilasters supporting an entablature. Ceiling divided into rectangles by beams and rising from a coved cornice. Gallery at one end with cast-iron openwork bombe front.